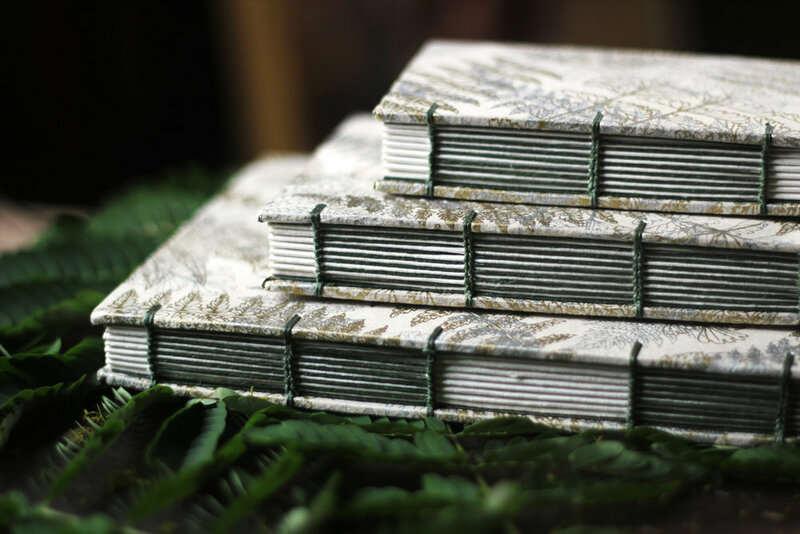 This hardcover watercolor sketchbook is expertly hand-bound and features a unique, one of a kind printed Lokta cover paper. Gold foil outlines flash alongside a green linen signature ladder binding and matching green inside cover papers. Created in collaboration with Lake Michigan Book Press as a part of our limited edition summer solstice collection, you’ll only find this sketchbook here in our shop!